In March 2018, the RLS Foundation hosted the webinar “Medications for RLS,” presented by Michael Silber, MB, ChB, a board certified neurologist and sleep specialist at the Center for Sleep Medicine at Mayo Clinic in Rochester, Minnesota, an RLS Quality Care Center. 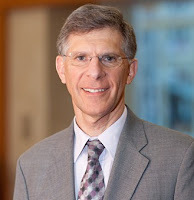 Dr. Silber is an active member of the RLS Foundation's Scientific and Medical Advisory Board, and the current chair of its Opiates Committee. The following questions and answers are based on the webinar. Visit the online Member Portal to view the full presentation. To see a listing of all of the Foundation's upcoming webinars, visit www.rls.org. Individuals suspecting they may have RLS should consult a qualified healthcare provider. Literature and webinars by the RLS Foundation, including this blog post, are offered for informational purposes only and should not be considered a substitute for the advice of a healthcare provider. Prior to making any changes to your treatment plan, please discuss treatment options with your healthcare provider. Q: How can I tell the difference between augmentation and normal, mild, continuing symptoms of medicated RLS (on pramipexole)? A: It can be difficult to do that, especially if the restless legs are worsening for some other reason, such as an anti-depressant use or iron levels are dropping. With augmentation, symptoms usually move to earlier in the day, and the restless legs recur at night. And usually, if the dose increases, it gets worse rather than better. Those would be the essential characteristics. But yes, it can be a little difficult and sometimes it needs an expert who has worked with lots of restless legs patients to be sure that it really is augmentation, rather than the disorder worsening for some other reason. If RLS worsens with therapy, consult with the provider who is prescribing the drug. Q: What is the best medication in terms of little chance of developing augmentation? A: I’m assuming the question concerns people with chronic restless legs who are going to need daily medication. If you want to have the lowest risk of augmentation, it would be one of the alpha 2-delta ligands (gabapentin, gabapentin enacarbil, or pregabalin). I should mention that gabapentin and pregabalin are off-label uses for restless legs and only gabapentin enacarbil has been approved by the FDA for RLS treatment. There may be reasons not to use those drugs – for example, people who are markedly obese or who have active depression. But if your only consideration is what is the lowest risk for augmentation, those are the drugs to use rather than the dopamine agonists. But each patient is different, and we have to balance the different side effects of each category of drug. Q: What effect, if any, do opioids have on sleep disruption associated with RLS? A: Opioids can be very effective for sleep disruption associated with RLS. I always ask people when they come back, “Have you got sleepy during the day? Are you okay driving?” And most patients who have had a good response will say, “Doctor, it’s wonderful. I couldn’t sleep at all with restless legs. I’m much more alert taking opioids at night than I was before I took them.” This surprises some physicians because they’re expecting their patients to have severe day-time side effects. With low doses at night, most people will have very nice sleep because we are eliminating restless legs, and opioids are somewhat sedating. Of course, opioids should only be used for RLS refractory to other drug treatments. Q: What options are there for treating insomnia that don't either lead to dependence or exacerbate RLS symptoms? A: I presume the question relates to insomnia unrelated to restless legs – patients who have both psychophysiological insomnia (learned insomnia) and restless legs. Our approach to chronic insomnia disorder today would first be to identify contributing causes, such as anxiety, depression, restless legs, chronic pain, sleep apnea, etc. If there are no obvious contributing factors which can better be addressed, then our approach today is cognitive behavioral therapy for insomnia rather than medications. So, we would generally recommend cognitive behavioral therapy, which can be administered by any knowledgeable health provider, including nurses, physicians or psychologists. Today, what’s nice is that it can also be done online. There are various reputable online self-help programs available. For chronic insomnia, we are tending to avoid medications as much as possible. Q: Is there particular opioid that you prefer to use for patients that don’t get relief from other remedies? A: There are various choices on the market. It really depends on individual providers and what they are familiar with. For instance, at Johns Hopkins, where they’ve had probably more experience with opioids than anywhere else, methadone is their drug of choice. We’ve tended to start with oxycodone, often in the long-acting form. Controlled release morphine has also been used. I think it depends on what each provider is familiar with. I don’t think that there is a specific rule. Q: How long (and at what dosages) can an RLS sufferer use an opioid without becoming addicted? A: The majority of our patients don’t develop long-term addiction, and there are patients that have used them for ten or more years without problems. The dose might slightly increase. Addiction can occur in a small minority of patients, sometimes fairly quickly. However, it’s rare in the low doses we use, especially with taking reasonable precautions. Q: Is it possible for your whole body to be affected by RLS symptoms? A: We’ve seen augmentation spread not just to the arms but to the trunk, as well. There are some unusual people with restless legs, who even from the beginning experience it in the back or the pubic area, or sometimes the arms more than the legs. So, yes, it can affect different areas of the body. The vast majority of patients, before augmentation develops, will have it in the legs. If, from the beginning, it’s entirely in some other area of the body, I’m very careful to be sure it is restless legs and not some other disorder mimicking restless legs. To view the webinar, visit the Member Portal at www.rls.org. If you are not a member of the RLS Foundation, join us! Scholarship memberships are available. Email info@rls.org for more information. The Department of Defense (DOD) is finalizing the list of conditions eligible for funding through their Medical Research Program, and we need your help to ensure that sleep disorders like RLS stay on that list! Send us your RLS story about why more research is needed and we will deliver the letter to your legislator. With your help, we will contact all Senators serving on the Defense Appropriations Subcommittee and ask that they continue to support the inclusion of "sleep disorders" as conditions eligible for study through the Department of Defense Peer-Reviewed Medical Research Program during the Fiscal Year (FY) 2019 appropriations process. Each year, the United States Senate crafts an annual DOD appropriations bill, which includes a list of conditions that are deemed “eligible for study” through the Peer-Reviewed Medical Research Program (PRMRP). In order for a condition to be included, Senators need to support the condition and officially ask for its inclusion. Senators have many competing appropriations priorities and in order for them to support a condition-specific request, they need to be educated and asked to do so by their constituents (You). As a result of grassroots outreach, the Senate has recognized sleep disorders as a condition eligible for study annually for a number of years. This support allows RLS medical researchers to compete for nearly $300 million in federal research funding each year. Senators are currently working on the FY 2019 DOD appropriations bill and deciding which conditions will be included on the next PRMRP eligible conditions list. Being included on the list one year is no guarantee of being included again in the next year. At this critical juncture, please reach out to the offices of your Senators and ask that they once again support the inclusion of “sleep disorders” in the DOD PRMRP’s eligible conditions list in FY 2019. Please consult the list below and see if one of the Senators from your state serves on the Defense Appropriations Subcommittee. Send us your RLS story via SurveyMonkey! The RLS Foundation will complete the letter template with your story and deliver it to your Senator's office. Your support is invaluable to the Foundation's advocacy efforts, and we will continue to fight for more funding for research that will help us identify better treatments and a find cure for RLS. You can help make a difference in the lives of thousands living with RLS. Send us your story today! Don't live in these key states? Your US senators and representatives still want to hear from you – their constituent. It is straightforward and simply a matter of telling your story, sharing your experience and asking them to take your needs into consideration. Want to get involved? Visit the advocacy page of the RLS Foundation website to find out how you can take action now! 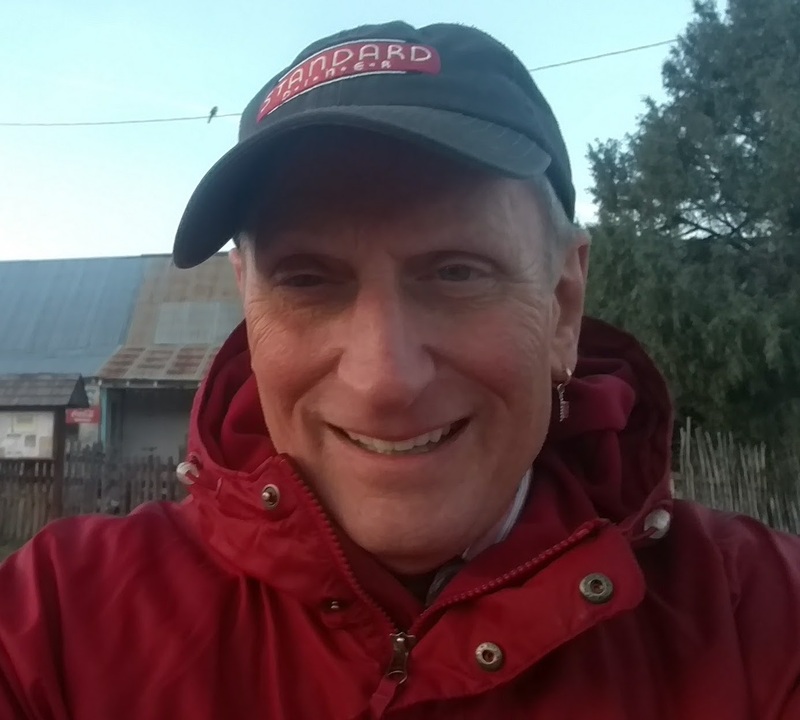 The RLS Foundation is pleased to welcome John Alexanderson as the new support group leader in Doylestown, Pennsylvania. Thank you, John, and welcome! I was a Prudential employee in New Jersey for 30 years, and also worked as a school bus driver in Hunterdon County, New Jersey, and Bucks County, Pennsylvania for 10 years. I am currently a radio DJ (Swing and Oldies) on WRDV in Hatboro, Pennsylvania, and WOVV in Ocracoke, North Carolina. My wife and I have two daughters and two granddaughters so far. I am up at 5:20 am most days to swim laps at the YMCA in Doylestown. I have had restless legs syndrome at least since college, more than 50 years ago. But, like many of us with RLS, I didn't know what it was until about 10 years ago. I found that others are amazingly uninformed about RLS, and I want to spread the word and empower others in the "club" to activism, education, and assurance. I refuse to suffer from RLS, but I realize what a burdensome personal issue RLS can be for we the "Chosen." This is an excerpt from the summer 2017 edition of NightWalkers, the Foundation's quarterly magazine. To get your subscription to NightWalkers and to enjoy other benefits, become a member of the Restless Legs Syndrome Foundation today! In 2016, a study conducted by the Yoga Journal and Yoga Alliance found that 36.7 million Americans practice yoga – an 80 percent increase from 2012. Of these individuals, 74 percent have been practicing for five years or less (1). Yoga is an ancient discipline that focuses on meditation, concentrated breathing and body postures. The health benefits of yoga are many. A sustained practice can lead to lower blood pressure, improved lung capacity, relief from chronic neck and back pain, and decreased anxiety. For those with RLS, stretching can be an important tool in alleviating symptoms. Many RLS patients find that 30 minutes of mild to moderate exercise per day can help keep their RLS at bay. (Note: Avoid intense exercising before bedtime, as that has been known to exacerbate RLS symptoms.) (2) Yoga incorporates both stretching and exercise, and can be a valuable coping strategy to add to one's RLS tool kit. Yoga has increased in popularity in recent years, making it more accessible than ever. There are now YouTube channels (the above channel, Yoga with Adriene, is just one option of many to choose from) dedicated to providing free online classes – a cheaper and convenient alternative for those with busy lifestyles and a limited budget. However, for the beginner, it is a good idea to initially attend a few in-person classes. This will give you a feel for how you should approach your home practice, and ensure that you are doing the poses properly to avoid injury. Remember to always listen to your body. Everyone is unique and may react differently to various types of stretching. Be particularly careful if you have a chronic condition or injury. You should always consult with your physician before beginning a new fitness regimen, including yoga. For more lifestyle considerations for your RLS, visit our website. 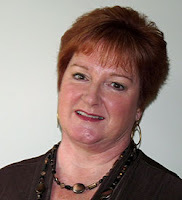 The RLS Foundation is pleased to welcome Rosemary Stader as the new support group leader in Columbus, Ohio. Thank you, Rosemary, and welcome! My father suffered from restless legs syndrome for a long time. Unfortunately, years ago I did not understand the disease like I do now. I first experienced RLS in my late 40s. For about eight years it was managed very well by pramipexole (Mirapex). When it started to get worse, I went to several physicians who kept increasing my dosage of pramipexole. No one, including me, knew that I was experiencing augmentation. I was on a high dose of medication, and my RLS was out-of-control. Finally, I found a physician who understood augmentation and knew how to treat me. My symptoms are now about 95 percent under control, and that is good enough for me! I decided to become an RLS support group leader to advocate for the use of opioids to treat severe cases of RLS and to help educate others about the disease. Everyone with RLS should read the information and listen to the webinars available on the RLS Foundation website at www.rls.org. We must be our own advocates because so many people do not understand the disease. On February 22 and 23, members of the RLS Foundation staff and leadership team traveled to Washington, DC, to advocate on behalf of the RLS community. 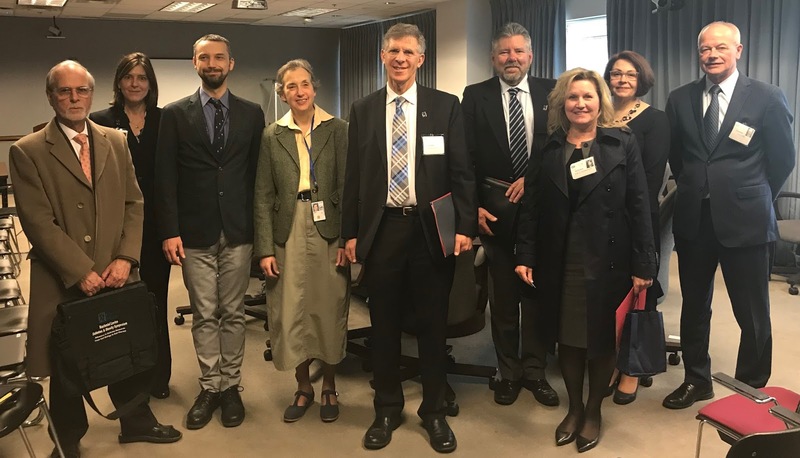 The delegation met with staff at the National Institutes of Health (NIH), US Food and Drug Administration (FDA), and Congress. Their goals were two-fold: to educate policy makers about RLS and the need to ensure that RLS patients continue to have access to opioid therapies; and to promote funding for RLS research that will advance better treatments and a cure. "We are focused on making our collective voice heard in Washington to help ensure continued access to opioids as a treatment for individuals with severe cases of RLS," Executive Director Karla Dzienkowski, RN, BSN, said. "We hope to enhance and expand our advocacy efforts so that no one in our community is denied access to this critical treatment option." For the millions of people in the US who have chronic, unrelenting, nightly RLS symptoms, opioids may offer the only hope for long-term relief, when all other treatment options have failed. If these patients lose access to opioids, they will lose the ability to manage their symptoms so that they can function in their work and social lives. During the visit to Washington, the Foundation’s partner, the Health and Medicine Counsel of Washington (HMCW) -- a government relations organization that works with nonprofit organizations and companies in the healthcare industry -- organized opportunities for the RLS Foundation to dialogue with lawmakers, policy makers and others who influence regulations related to opioids and biomedical research. On February 22, the RLS Foundation hit the ground running. Led by Dzienkowski, the RLS Foundation team included Ronald Barrett, treasurer of the Board of Directors; Dr. Christopher Earley, chair of the Foundation's Scientific and Medical Advisory Board (SMAB); Dr. Michael Silber, SMAB member and head of the Opiate Committee; Kris Schanilec, RLS Foundation communications consultant; Peter Herzog, HMCW legislative associate; and Dale Dirks, HMCW president. "Our role here is to advocate for an open-minded view on the value of opiates in treating RLS," Dr. Earley said. "It is an important treatment option that needs to be continued and maintained, such that patients with severe RLS, if they need to use these vital medications, are not restricted in any way." Day one included meetings with leaders of the National Heart, Lung, and Blood Institute (NHLBI), the National Institute of Neurological Disorders and Stroke (NINDS), and the program staff at the FDA. The Foundation shared the challenges of RLS patients who face limited treatment options, and the specific areas where research is needed to discover and test new therapies. The team also stressed the need for both clinical trials of opioid medications and long-term studies on their safety and effectiveness for treating severe RLS. These meetings were important to building new relationships with individuals at the NIH who can champion the RLS cause and influence decisions about RLS research funding at the NHLBI, NINDS and other institutes within the NIH. 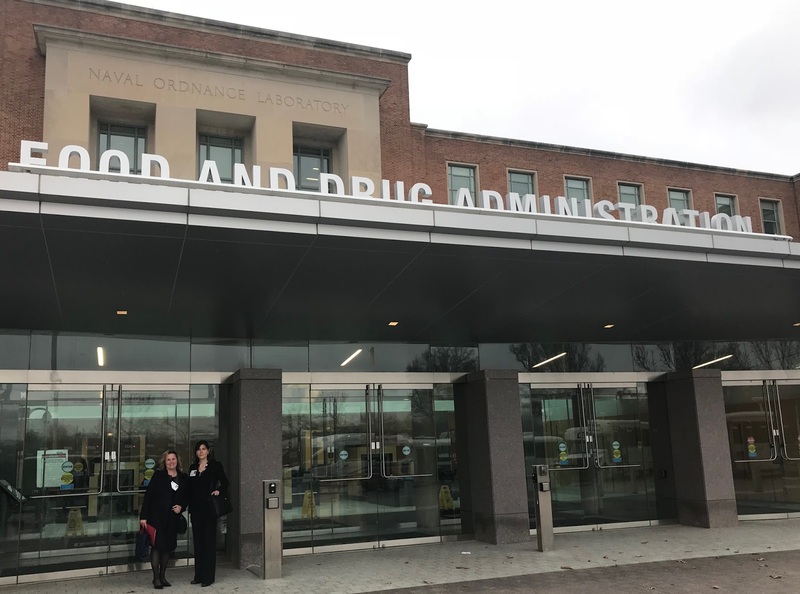 At the FDA, the RLS Foundation met with the office of Public Affairs and Stakeholder Engagement (PASE) at the Center for Drug Evaluation and Research (CDER) to discuss the importance of low total daily dose opioids as an RLS treatment option. The Foundation shared stories of individuals in the RLS patient community who have been taking opioid medications for decades and are encountering barriers to accessing their prescriptions. After highlighting information on new opioid treatment guidelines for patients with RLS, the team stressed the importance of safeguarding access to these medications for RLS patients who genuinely need them. "The FDA members that we met with recognized the possibility of unintended consequences of heavy-handed restrictions on legitimate opioid use and the potential impact on RLS sufferers,” Barrett said. “Hopefully there will be positive outcomes from our meeting." On February 23, the RLS Foundation team met with Congressional representatives on both sides of the political aisle in 16 Senate and House offices. Meetings included staff members from the offices of Senator Joni Ernst (R-IA), Senator John Cornyn (R-TX), Senator Tina Smith (D-MN), Senator Ted Cruz (R-TX), Representative Rod Blum (R-IA), Representative Tim Walz (D-MN), Representative Roger Williams (R-TX), Representative Mike McCaul (R-TX), Senator Dianne Feinstein (D-CA), Senator Kamala Harris (D-CA), Senator Chris Van Hollen (D-MD), Senator Ben Cardin (D-MD), Representative Judy Chu (D-CA), Representative John Sarbanes (D-MD), and Representative Anna Eshoo (D-CA). In these meetings, the RLS Foundation delegation explained the specifics of RLS and its devastating effects on the daily lives of millions of Americans. The team delivered nearly 100 letters written by RLS Foundation members, and shared stories that they hear from the RLS community about everyday struggles and increasing issues with access to opioid medications. They stressed the limitations of current treatment options, and that there is no cure for this debilitating disease. In turn, the RLS Foundation asked that the Congressional representatives support the full $36 billion for NIH funding in fiscal year 2018 so that funds will be available for RLS research and related areas. The Foundation also encouraged the inclusion of “sleep research” as a condition eligible for research grants from the Department of Defense, so that RLS researchers will continue to be eligible for funding through this channel. Finally, the Foundation pointed to the need for a safe harbor for RLS in any upcoming opioid-related legislation, regulations and policies, so that people with severe RLS who genuinely need opioids to manage their symptoms can continue to access these medications. These talks were a first step in building relationships with each of the Congressional representatives, and an especially strong connection was sparked with one staffer who has a family member with RLS. The Foundation team will continue to contact these representatives in the coming months to educate them about RLS and the needs of the community. "It was a very productive visit, and it's just the beginning of our advocacy outreach," Dzienkowski said. This advocacy trip was an enormous stride for the RLS community and an important milestone in the Foundation’s advocacy initiative. And the fight is far from over. With the help of HMCW, the Foundation will continue to increase awareness among policy makers about the serious nature of RLS, the need for individuals with severe RLS to have access to opioids when they are the best treatment option, and the need for more funding for research that will help identify better treatments and a find cure for RLS. Your US senators and representatives want to hear from you – their constituent. They are there to represent you. Meeting them is not difficult – it is straightforward and simply a matter of telling your story, sharing your experience and asking them to take your needs into consideration. Want to get involved? Visit the advocacy page of the RLS Foundation website to find out how you can take action now!